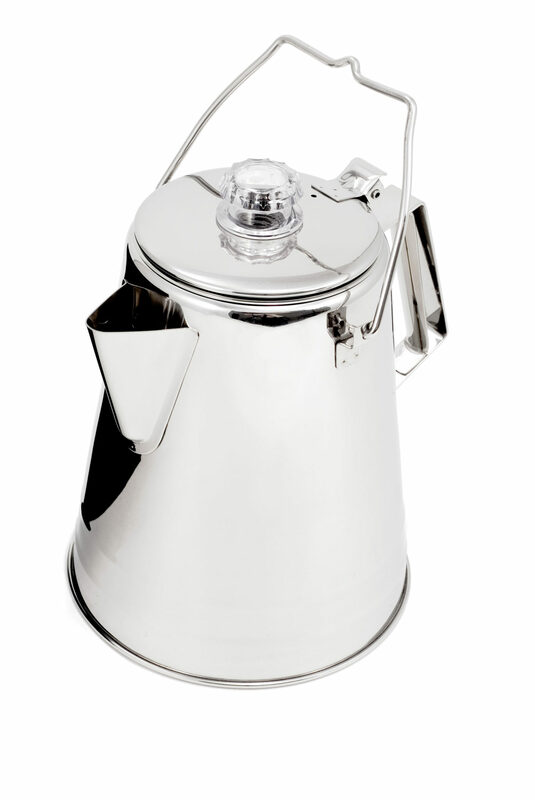 Large or small, stainless-steel coffee makers are a must-have, even in the great outdoors. 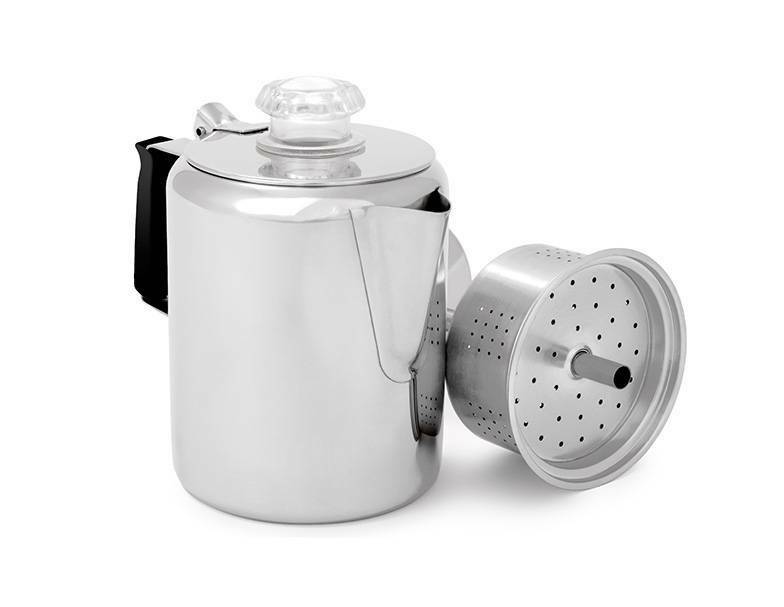 MSGR rents the best stovetop coffee makers available from GSI Outdoors. Perfect for one, two or three people, coffee makers can brew up to nine cups of java (or hot water) at a time. For stovetop-use only; not suitable for use over campfires or other open flames. This ultra-rugged, campfire coffee maker uses stainless-steel to deliver a great tasting cup of Joe year after year. Wherever you’re making coffee, you won’t be disappointed.